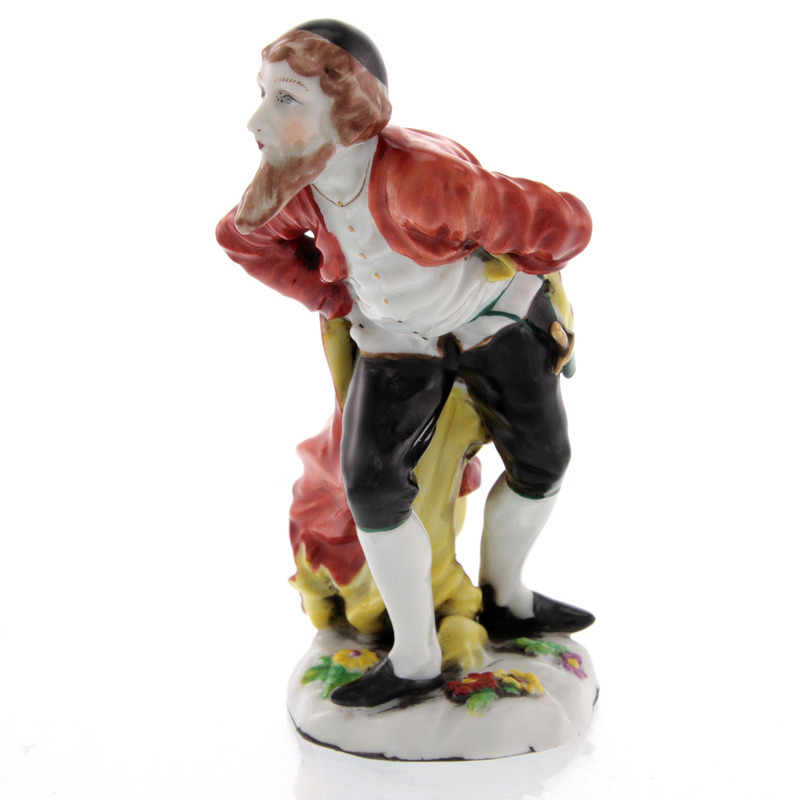 Pasarel - Rare Jewish Man Hand Painted Porcelain Figure, Capodimonte, Naples, Italy, 19th Century, Judaica. 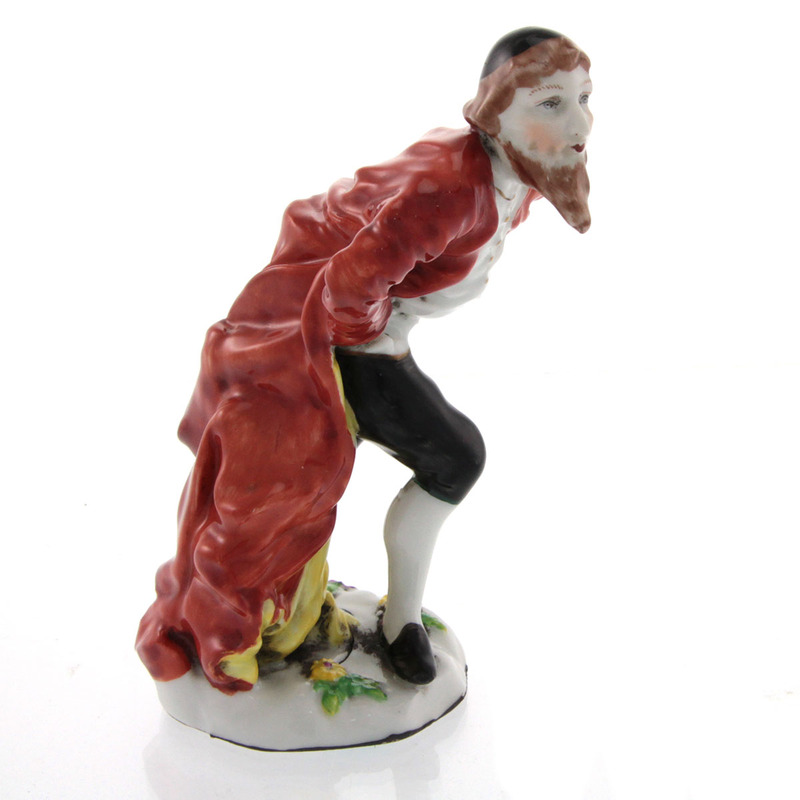 Rare Jewish Man Hand Painted Porcelain Figure, Capodimonte, Naples, Italy, 19th Century, Judaica. Modeled and painted in the form of a young bearded Jewish man wearing a skullcap and long coat. 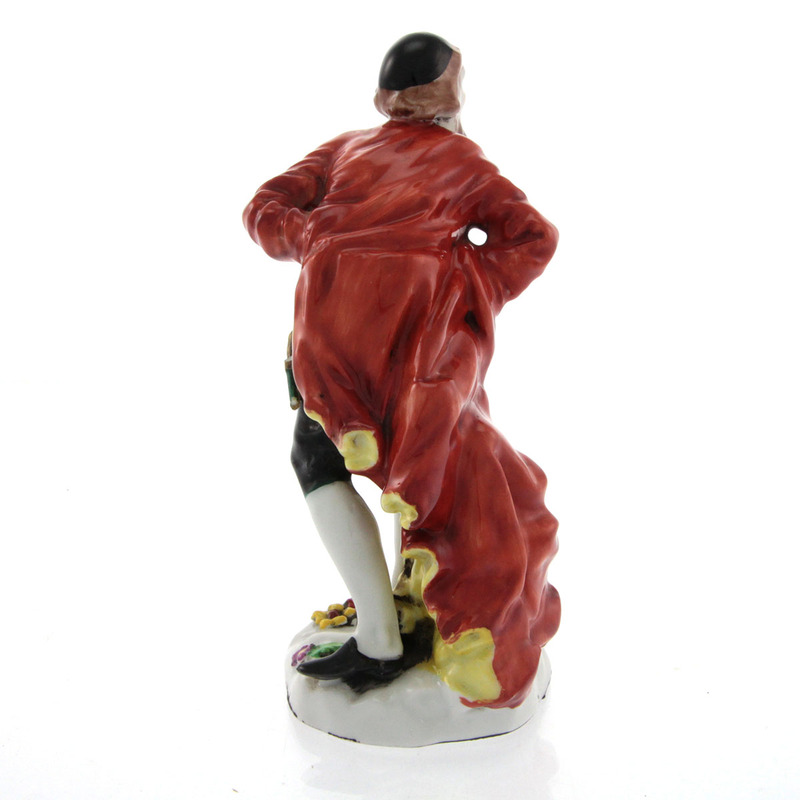 Standing on a floral base. 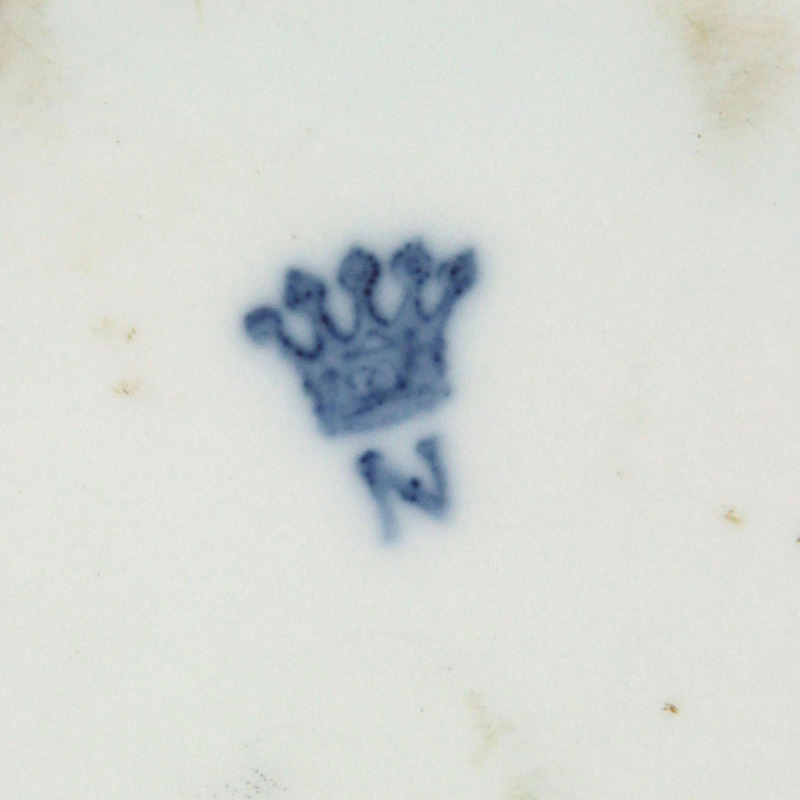 Marked underglaze with blue N beneath crownl, stamped number 3884. Very good condition, breakage to the tip on the dagger. 1. Sotheby’s – Important Judaica, sale number IS9604, Tel-Aviv, 8 October 1996, lot #242 (see pictures). 2. The Stieglitz Collection masterpieces of Jewish art, Chaya Benjamin, the Israel Museum, Jerusalem, 1987, p.350, no. 234. This rare depiction of a Jewish man is rendered in a manner considerably more benign than the majority of Judaica figures in this genre. it bears some comparison to known figures representing Shakespeare’s hero Shylock from the Merchant of Venice but the man portrayed in the present piece would appear to be considerably younger than most depiction of Shylock (in Shakespeare’s play Shylock has a grown-up daughter).